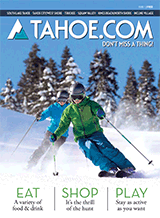 The Lake Tahoe real estate business is different from real estate anywhere else in the world. In this market, homes can be on the lake, in the mountains, along a river or nestled in a valley. There are estates, apartments, mansions, condos and everything in between. In Lake Tahoe real estate, your next-door neighbor could be a ski bum or a well-known celebrity, a cocktail waitress or a casino manager. The population of the region swells and shrinks with the season, and the number of second homes and vacation rental houses is astounding. Much of Lake Tahoe’s real estate is made up of high-profile homes and neighborhoods. These are the areas that catch the attention of locals, visitors and even the news media. There’s no doubt about it: The world is fascinated by Lake Tahoe and the Sierra Nevada. But every area of the region contains many more neighborhoods that are hidden away from everyday view. Tucked back in the forests, accessible by side streets and back roads, are so many more homes and houses than are visible to the casual observer. When you add all of these additional properties to the listings that are more easily noticed, you can begin to understand the true potential that exists in the Tahoe real estate market. The prices of homes in the Bay Area to the west constantly invite comparison to the local Lake Tahoe real estate market. Common sense would dictate that homes in a resort community, especially a resort community with year-round appeal, would demand much higher prices than other areas. Yet it is not unusual to find a house for sale in Lake Tahoe real estate that provides more value per square foot than one might see in other California or Nevada markets.